Even though I'm late posting today I'm still in time for Fabulous Fabric Friday. It has been a busy week and day. Jane had a sale this week on fabric. I really like dots. Most of you should know that by now. The dots I've got planned for bindings. I love to bind in stripe or dot. They are cuter on Jane's web store than this picture. 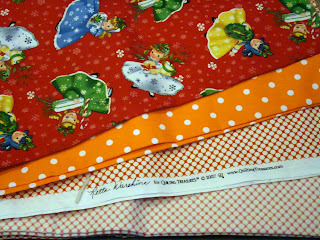 And these little vintage girls in Christmas dresses has been a fabric I've had my eye on for a while. Does this look familiar to anyone? Anyone feel they've seen these blocks before? Well Jacquie was a little frustrated with this vintage table cloth project so she sent it to me! Isn't that great. I love the blocks and I'm not sure what I will make with them but I'm turning some ideas around in my head. Thanks Jacquie!! Kim brought me her cottage blocks the other night and I missed her because I was getting my hair cut. Kim and I live fairly close but we don't run into each other very often. You know -work, family, life! Kim's blocks are beautiful. I love them. I had some fun mail come this week, too. Cottage blocks are arriving all the time. It is exciting. These blocks are from Austria. Isn't that amazing. Some of us will have blocks from around the world. Sabine sent these darling blocks this week and I mistakenly wrote that they were Micki's blocks. 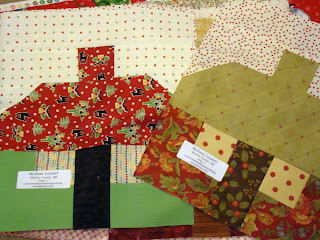 Melissa from cornbreadandbeansquilting blog mailed me her blocks this week too. They are really fabulous. I love them. 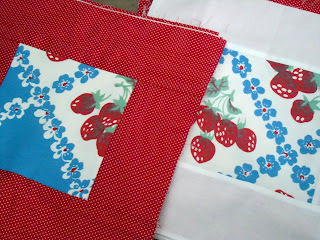 It is so fun seeing all the different fabrics in the cottage blocks. Keep 'em coming girls! Have a great weekend and I hope to have some fun things to show next week if I can get some sewing done. Love them and I too love dots and stripes. I vote to use the red with white dot with the vintage look blocks. would be stunning. You always find the best fabrics! And I love polka dot bindings also! I love the fabric! Jacquie is great , I love the blocks. 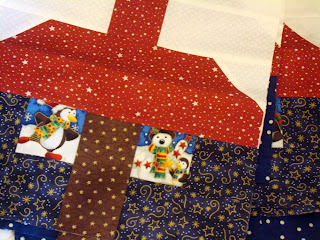 The Christmas blocks are coming in fast and furious and fabulous!! That fabric with the girls in Christmas dresses is fantastic!! I'll be looking for that at our Creativ Festival this weekend! I've wondered about dots for the binding. I'll have to give it a try. Those cottages are just great. I'll have to try a few soon. Such sweet fabrics! 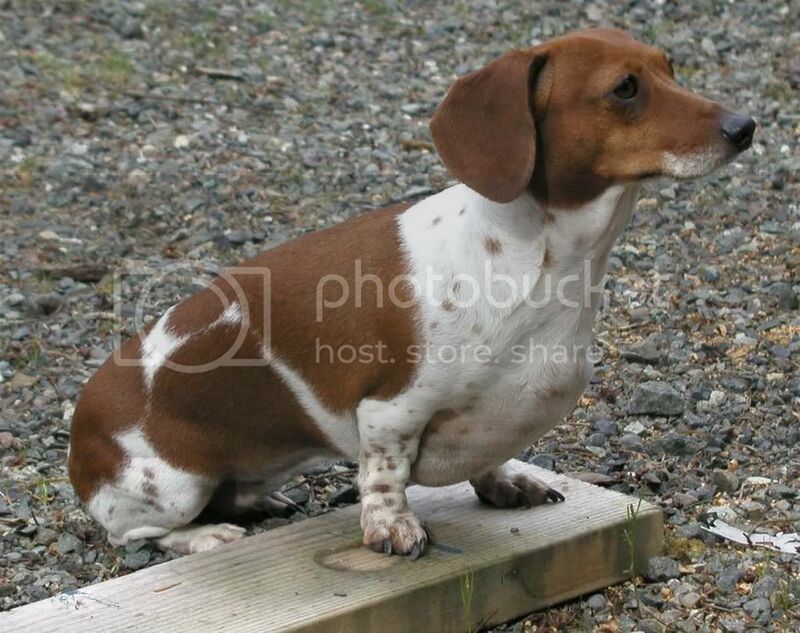 And I totally agree with dots or stripes as a border. I still can't figure out how in the world I missed out on this house swap! darnit! You have so many cute cottages pouring in. Thanks for showing all the new blocks coming in.. it is SO much fun! I can't wait to see what people start creating with their cottages. they areall so lovely. Lots of pretty cottages! How fun for you to get to look through them. I love the strawberry blocks. Well Jacquie couldn't have given them to a better person. I know you'll do something wonderful with them. Love your little vintage girls and dots, too - I'm in the throes of dot collecting - unfortunately our $ is a bit prohibative at the moment to buy from the US - when I visited this time last year our $ was worth 93 Cents - now down to the high sixties! How I would love to receive such adorable blocks that someone didn't want! You are a lucky girl! I am loving the little girl print, too. All the cottage blocks are just too cute. Everyone has done such a great job on them. I love the little girls in Christmas dresses. Is that a current fabric? Would love to find some of it if it is. Your mail man (or lady) must be very busy these days delivering so many packages. What fun!! i know those blocks are in good hands. i love dots too...i need to check out jane's store. thanks! 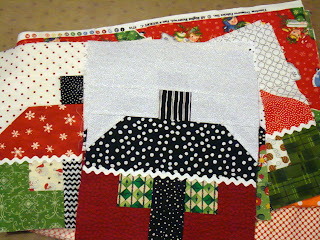 The fabric is cute, and the house blocks look wonderful. You always have such great fabric. How come I never come across fun textiles like you - I must be looking in the wrong place, LOL. I love dots, too! and they are perfect for binding.